Coach Doug Wokoun Comments: Overall, we made some progress. Our management of the course needs some work, which will come with more experience. We also need to find some consistency, but it is starting to come around. Michael had a pretty good effort, but left a little bit on the course. Wyatt bounced back from Monday very nicely. They both hit some very good shots, but had some struggles on the recently plugged greens. Cody had some penalties, which really damaged an otherwise good effort. He is making decent progress, but is still struggling to put a series of shots together. Kyle made a huge jump in his second match. He struck the ball much better. Unfortunately, he is having to learn on the fly, and that presents some added pressures. Josh had some decent holes in this round, but had a couple of holes that really affected the outcome of his round. Hopefully, we will learn from this adversity and move forward soon. 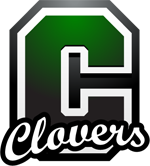 Cloverdale (0-2) plays in the Danville Invitational Saturday at Twin Bridges.